Adult Sabbath School bible study. 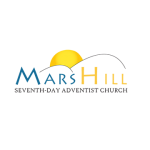 Mars Hill’s Community Service Program distributes grocery food items to community members in need every Thursday from 10:00 am – 2:00 pm. Individuals must register to receive food.